We determined the changes of time, amplitude and derivatives of these indicators of rheovasograms of shin in sportsmen of youth age and high level of skills engaged in volleyball, athletics and wrestling with sports experience at least 3 years. 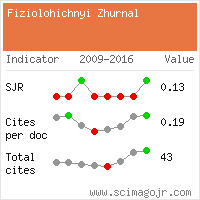 We determined significant differences in the value of time, amplitude and derivatives of these indicators of rheovazograms of shin in males youth age, depending on the impact of intense exercise. The volleyball players compared to youth who do not exercise, reliably large values of the overall tone of the arteries (11,2 %), arteries of large diameter (8,2 %), arteries of medium and small diameters (13,5 %), time ascending part of rheovazograms (2 %) and a slow passage (5,9 %) and less dycrotycs index (17 %), duration of rheographic wave (3,7 %), time descending part of rheovazograms (10 %). The persons of control group had higher values of baseline impedance than wrestlers (9,9 %) and athletes (13,7 %) and all amplitude indicators rheograms of the shin than athletes (average 12-15 %) and wrestlers (22-23 %). The size and volume of blood flow to the arteries of the extremities adapted to the metabolic needs of the relevant muscles. In volleyball players compared to the athletes, a lower duration of rheographic wave (10 %), time of downlink part of the rheograms (12,7 %), the base impedance (17,2 %), amplitude of the systolic wave (17 %) and rapid blood filling (21 %), all indicators tone of arteries (12,2-16,9 %) and greater value of time of rising part of rheograms (3,5 %) and slow blood filling (5,9 %). Wrestlers compared to the athletes have a lower duration of rheographic wave (6,1 %), time of downlink part of the rheograms (6,1 %), the amplitude of the systolic wave (9,3 %), compared with volleyball players set lower values of average speed of fast blood filling (15,6 %), tone of arteries with different diameters (15-16,5 %), all amplitude indicators (20-28 %), time slow blood filling (9,7 %), ascending parts rheogram (10,3 %). Thus, the level of physical activity and especially muscle activity has a significant effect on the performance of regional blood flow. Keywords: regional bloodstream; rheovasography of shin; volleyball players; athletes; wrestlers. Baranova EA, Kapilevich LV. Effect of muscular work on the parameters of external respiration and hemodynamics of the lower extremities in athletes and untrained individuals. Tomsk St. Univ. Bull. 2012; 364: 140-42. [Russian]. Bergtraum DI. The modern idea of typological and individual character is tics of peripheral hemodynamics in athletes of different specializations. Young Sport Sci Ukr.2012; 3: 19-25. [Ukrainian]. Rowell LB. Ideas about control of skeletal and cardiac muscle blood flow: cycles of revision and new vision. J Appl Physiol. 2004; 97 (№ 1): 384-92. Novikov AV, Lavrov MN. Status of regional blood flow of upper limb after a dosed physical load. Hum Physiol. 2002; 28 (3): 69-75. [Ukrainian]. Maydanyuk OV, Kolodyazhna LV. State of circulation of muscles in athletes who specialize in cyclic light athletics (running on medium and long distances). Aktual Problem Fizychn Kult Sport. 2007; 13: 38-42. [Ukrainian]. Manoylov VF, Mosiychuk VS, Muzhitskaya NV, Nikitchuk TN, Tyimchik GS. Analysis rheograms by the phase plane. Vestn NTUU «KPI». 2013; 52: 111-19. [Ukrainian]. Recommendations and considerations related to preparticipation screening for cardiovascular abnormalities in competitive athletes. 2007 update. Circulation. 2007; 115: 1643-55. Makarov GA. Sports medicine. Moscow: Sovetskiy sport, 2003. [Russian]. Solodkov AS, Sologub EB. Human Physiology. General Sport Age. 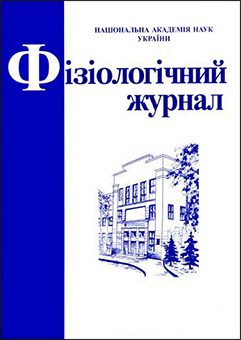 Moscow: Olimpiya Press, 2005. [Russian]. Ronkin MA, Ivanov LB. Rheography in clinical practice. Moscow: Nauchno-meditsinskaya firma MBN, 1997. [Russian]. Bergtraum DI. Comparative analysis INDICES OF THE PERIPHERAL hemodynamics in blood vessels of the muscles of the lower extremities of athletes-runners. Mat. VI Mizhnar. Nauk-prakt konfer. «Adaptatsiyni mozhlyvosti ditey ta molodi» prysvyachena 190-richchyu ADPU im. K.D. Ushynskoho. 2006; 15-18. [Ukrainian]. Dyuzhykov AA, Kaplunova OA, Kondrashev AV, Mozhaeva NN. The anatomic aspects of ultrasound study of vessels. Rostov-on-Don: HOU VPO RostHMU Roszdrava, 2010. [Russian]. Krupatkyn AY. Clinical neuroangiophysiology of the limbs. Moscow: Nauchnyiy mir, 2003. [Russian]. Fleyshman AN. Slow hemodynamic oscillations. Theory, practical application in clinical medicine and prevention. Novosibirsk: Nauka, 1999. [Russian]. Kudrya ON, Kiryanova MA, Kapilevich LV. Features of peripheral hemodynamics of athletes in adapting to loads of different directions. Byull Sibir Med. 2012; 3:48-53. [Russian]. Kalinina IN, Haritonova LG. Methodical aspects of medical control for persons suffering from varicose disease of the lower extremities. Omsk: Izdatelstvo SibGUFK, 2008. [Russian]. Savelev VS. Modern trends in the surgical treatment of chronic venous insufficiency. Flebolimfologiya. 1996; 1: 5-7. [Russian]. Braun HA. The prevalence of venous pathology of the lower extremities among athletes of cyclic and acyclic kinds of sports. Vestn YuUrGU. – Chelyab. 2008, 4: 78-9. [Russian]. Popova IE, Germanov GN, Tsukanova EG. Рarticularities of regional hemodynamics among the middle distance runners. Nauch Teoret Z Uchen Zap. 2010, 2 (60): 104-12. [Russian].